Is Doggy Day Care Be Good for Senior Dogs? Home / Blog / Is Doggy Day Care Be Good for Senior Dogs? Most dog owners know that as their puppies grow and become senior-aged canines, they start to become stressed, stiff, and develop different health problems. Since you’re their owner, it’s crucial to provide the best life possible for your pet and looking at doggy daycare as an option for daily help could make all the difference in their life as they enter their later years. For skeptical readers, I can give you two incredibly good reasons doggy daycare can provide excellent service to your pup while you’re busy working, running errands, or traveling out of town. Your doggy deserves the best in their lives as they’ve been an essential part of your life for years. They deserve some fun with other dogs and professional staff. Doggy daycares can provide a reasonable amount of exercise for your older pup. Most places will have an evaluation period where they are assigned a fitting group for playtime. For a large portion of the day, they will be kept inside for their safety, and then they will be taken out multiple times for potty breaks. Being classified into a group suitable to their temperament will make all the difference in their daily exercising and ensuring they are comfortable and happy while you’re busy or away. As some dogs get older, they become increasingly more clingy as they want more interaction and socializing. They don’t want to run and play as often as puppies, but they do need affection and attention. 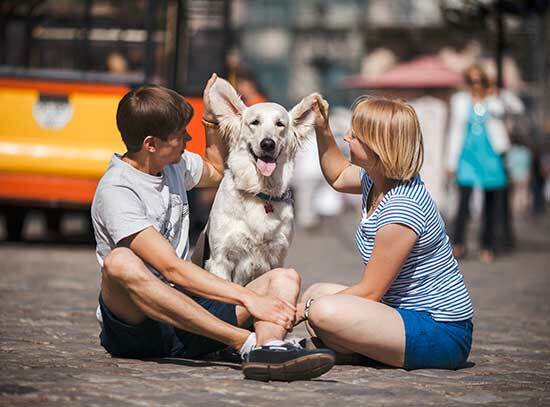 Bringing them to a doggy daycare could provide them with hours of socialization with staff members and other like-minded dogs. At the end of the day, you will be picking up a dog that is both exhausted and satisfied with their day of play. If you’re living in Houston and interested in bringing your dog to daycare, contact us, and we can provide a variety of options for your needs. We offer daycare 6 days a week with drop off as early as 7 am and pick up as late as 6:30 pm. We also offer dog boarding and grooming if needed.